You cameras lens hood can help to shield the front of your lens from the sun rays, or other bright unwanted light, from directly hitting the front lens element and scattering the light creating sun/light flares, those are the rainbow colored streaks and hexagonal colored shapes created when the sun reflects off the aperture. Another job of the lens hood, or shade is it helps to prevent, minimize any damage to the front of the lens from the elements or in my case from slipping in the mud while out on an outdoor photo-shoot. 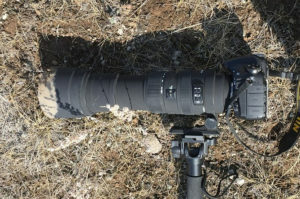 Here is what my lovely 150-500mm Sigma lens looked like after I tripped and then slipped in the mud. I was panicking, I tried to hold onto my mono-pod, which was attached to my lens and camera and hoping that my camera and lens were OK, and thankfully they both were and if I would not have had my lens hood or lens shade on the lens at this point, the outcome for my lens could have been disastrous. So thankfully all was OK. Washed the mud off the hood and cleaned up my camera and well, myself and off we continued on our photo shoot. So besides my tumble with this big lens and it landing on the hood, which protected the glass, thank goodness, Having the lens hood on your lenses all the time can also protect them when you accidentally bump your camera into things, that I have been known to do on occasion. Generally when I am out on a photos shoot, whether for fun, assignment or searching out animals or doing portraiture, I do not leave my lens cap on my lenses as I feel that it takes to much time when I am ready to shoot or have to shoot fast, to remove the lens cap so that is why it is important for me to always, keep the lens hood on. Now on the other hand when you leave the lens hood or shade on while taking a image using your on camera flash you will produce what is call a vignetting effect. This is a dark crescent shaped shadow will be cast on your image at the sides or bottom and this is not something that you would usually like to create. What I usually do if I am in a situation where I am wanting to use the built in flash, I will quickly take it off and put it around my wrist until I am done shooting. This way I will know where it is so that I can put it back on as soon as I am done shooting. With using an off-camera flash your light source is farther away from the lens and having your lens hood on would not create any vignetting and the use of the lens hood will also protect you from getting lens flare from any additional light sources that you might be using. A lens hood attaches directly to the front of your lenses and they generally work best with normal, telephoto and zoom lenses. It is not recommended to use a lens hood on a wide angle lens as this can create vignetting. Not usually something one wants to see in their images. Can I get a lens hood for my lens if I do not have one? Yes, if you do not have a lens hood for your camera you can purchase one. You will need to know the diameter of the front of the lens. This is written usually on the inside edge of your lens or on the outside front edge of your lens. 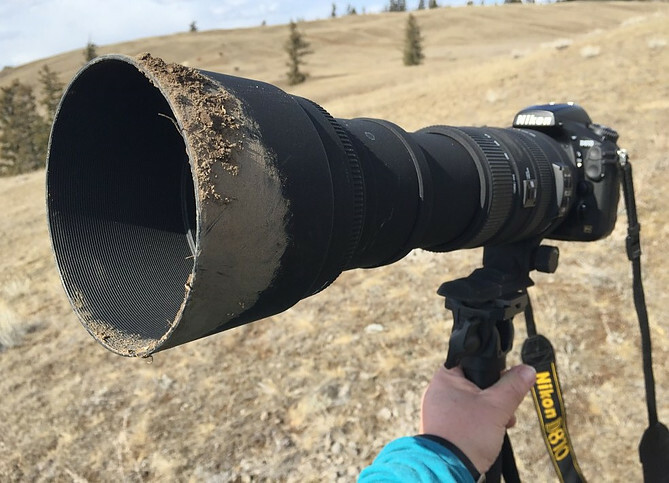 Well keep those expensive lenses safe by using your lens hoods and if you have it put away because you didn’t think you needed to use it, go dig it out now and put it on the front of your lens. Here is a hood package I found for the 55mm and 58mm lenses, but there are many more, depending on what brand and there are also some generic ones available too. The topic is extremely interesting? Are there any particular cameras that are your favorites when doing nature photo shoots? 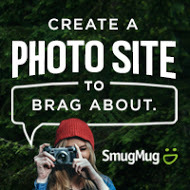 How do you do the photo shoot in HD? I am not a photography expert by any means but is there a difference in lens sizes? The bigger the lens, what happens? Thank you for your comments. When doing any photography usually the favorite camera is the camera you have available to you at the time. I believe you me HDR (High Dynamic Range) not HD or High Definition – which referrers to video. Using HDR photography technique of layering multiple images with different exposure to bring out the best exposure in a scene with great differences in light and dark. There are many different sizes and aperture values in lenses available. A large lens is generally referred to as a zoom lens. Interesting to know more about a lens hood, I can see from your photo that they are an important piece of equipment needed to protect your camera. I don’t know very much about cameras, but can understand why you would need a lens hood if you are a keen outdoors photographer. Hi Louise, Yes most lenses have hoods or you are able to purchase various styles the do help with protecting from the glare as well as protecting your investment in the equipment, whether just starting out to the pro. I was sure happy and thankful that my lens hood protected my larger lens that day. Sad to hear your camera developed issues. I have a few cameras so I generally always have a backup. Yes definitely the operator behind the camera is more important than the equipment as the person is the creative artist in the process. Hope that you are one day able to get yourself another camera and enjoy the art that one can create with it. Look at purchasing a used camera, but a hint is to stay with reputable photography companies as they know the gear. Thank you for your comments. Yes protecting expensive lenses is very important, because unexpected things can happen. I am glad that you felt that this article was helpful. I read you started very young getting interested in photography. I love taking pictures of the places I go to. I bought my first camera while on a trip to Hong Kong in 1981. It was a semi-automatic Canon and when I compare it to the little digital camera I normally use now it is really heavy. Last year there was torrential rain and I quickly opened the patio door and took a photo. I was very surprised that the flash made the big raindrops visible. It looked like Christmas decoration. I have never used a lens hood but that could be a great idea as in the south of Spain the sunlight can be very strong. Yes seems I was ment to follow the love of photography beginning at a young age. The cameras I am photography with over the years have changed but the enjoyment of capturing the world around me is still very strong. Yes during a rain storm or even a snow storm, when you have the flash turned on the flash of light will reflect off the snow or rain drops making them seemingly stop in mid air and so making them more visible. It is a very neat effect. Not all lenses have lens hoods but if there is a thread at the front of your lens you will be able to purchase one for it. Let me know if there is ever anything I can help you with, with your photography. This article shows about some important information about learning digital photography. This article will be very helpful for them who want to learn digital photography.We can learn many things about digital photography by reading this article. Because this article provides informations about lens hood,turning on and off camera flash, formatting memory card flash,photo background, etc. So, in my opinion, it was a great article. Thank you so much for sharing this article with us. Thank you for dropping by my site and letting me know your thoughts. I am glad to hear that you have found my articles very informative. If there is anything I can help you with with your photography, please leave me a note in the comments anytime.